Good afternoon, dear readers! I hope you are having a wonderful day! I had planned to get this post written up yesterday, but I ended up with way too much on my plate and the day was suddenly gone. It may be spring now, but nail polish lines are already preparing to launch their early summer collections, and I have a bright one to share with you today! LynBDesigns will be releasing their striking neon collection, called The Vocab Collection on May 1st, and I'm eager to jump right in and share photos with you! 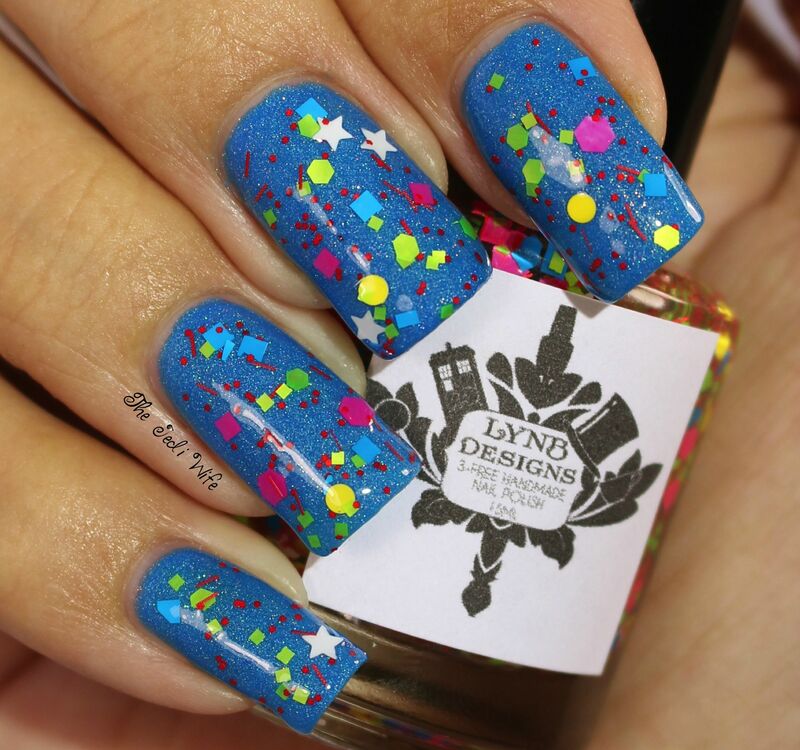 The Vocab Collection consists of eight base colors and two toppers. My camera freaked out with the brightness of these polishes, so I apologize in advance for the wide variation in skin tone. I didn't give myself a fake tan in the middle of swatching, I promise! In order to get as close to colour accurate photos of the polish, I ended up looking a little darker in several of these photos than normal. Now let's check them out! 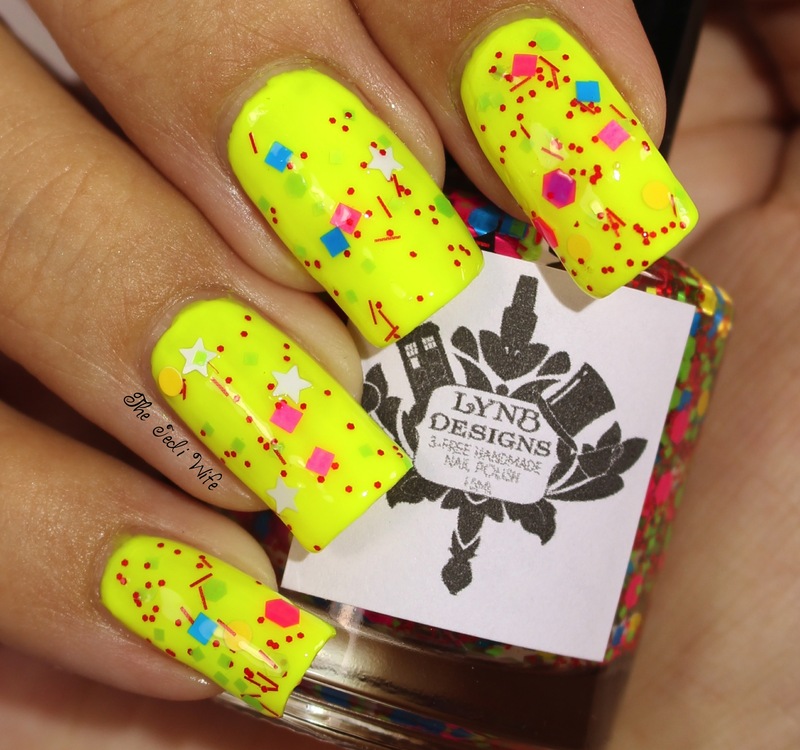 Whenever I think of neons, highlighter yellow is the first shade that comes to mind; I naturally had to start with this one first! This neon yellow crelly is BRIGHT! I used three coats here, although I probably should have added a fourth coat to help fill in the slight patchiness my camera picked up. The application was easy, and this did seem to dry rather quickly for me. There is also top coat for added shine on top of these swatches. I love this pink! While I'm generally not a huge pink fan, I love darker pinks and apparently dark neon pinks! 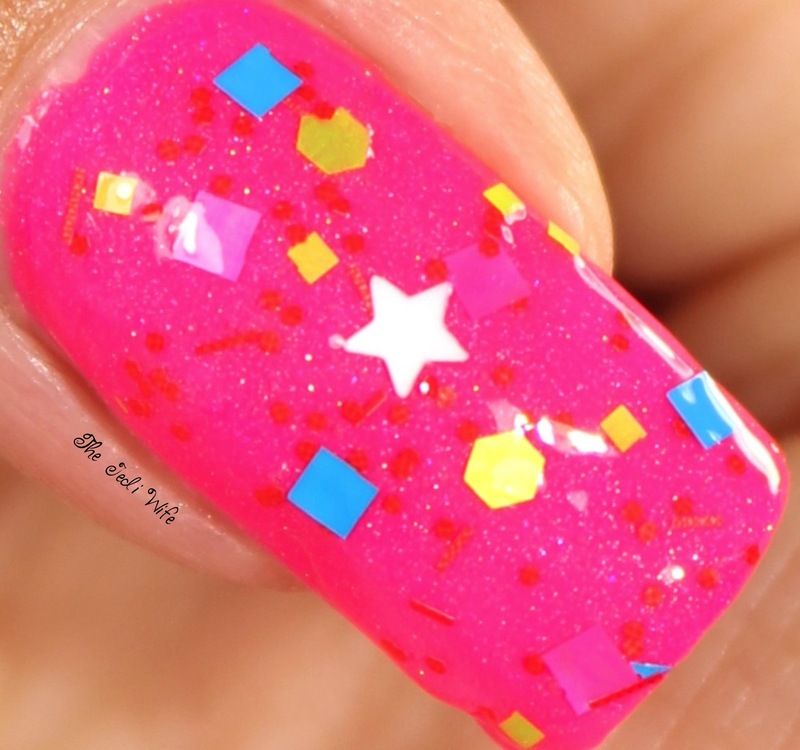 Adorbs is a neon magenta cream with added holo shimmer. 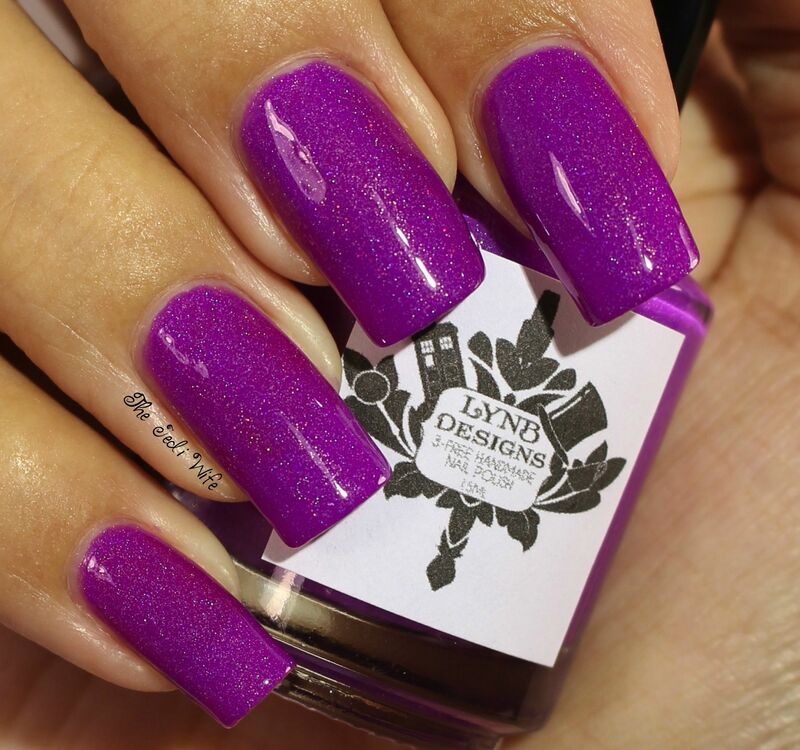 It's such a pretty shade, and I definitely see myself wearing this beauty a lot! I used three coats plus top coat for these photos. 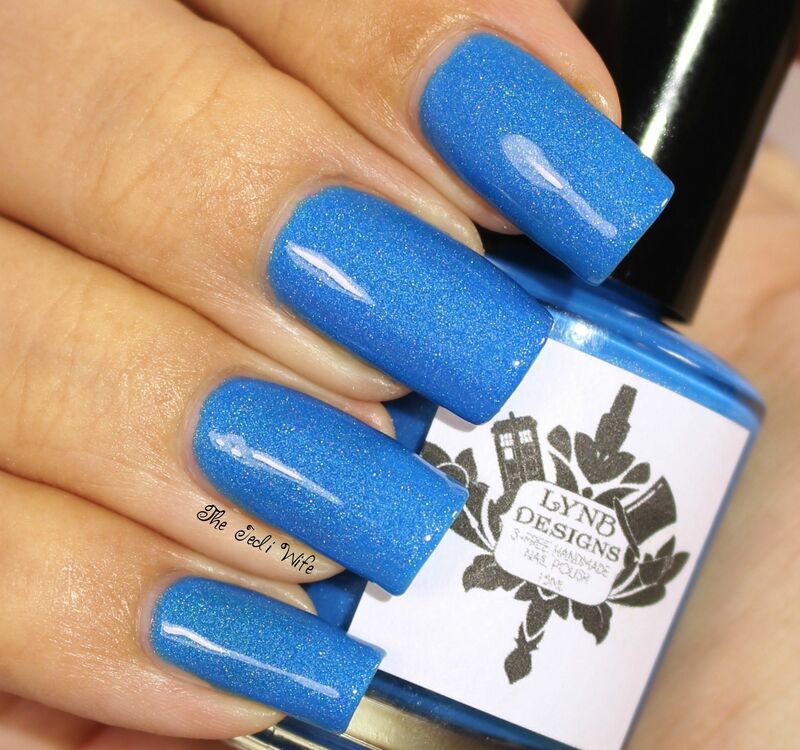 Feels is another favorite from this collection- just look at that neon blue! I really love the added holo shimmer as well. It adds a nice something extra without taking away from the gorgeous base shade. I used three easy coats plus top coat for these photos. 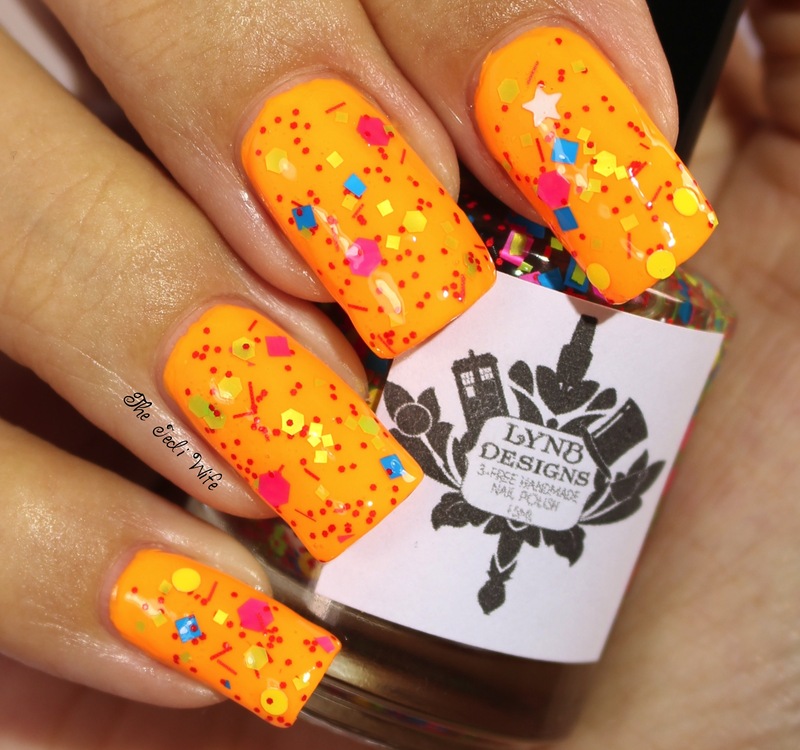 I have a confession to make- as much as I love orange polish, I really don't like neon orange. Something about the more traditional traffic cone orange is a turn off for me, and I never wear it. I was a little nervous at first when I heard there was an orange in this collection, but I must say, I dig it! It isn't my favorite of the bunch, but I really like that this crelly is more of a yellow-orange; I will actually wear this shade of neon orange! I used three coats plus top coat for these photos. 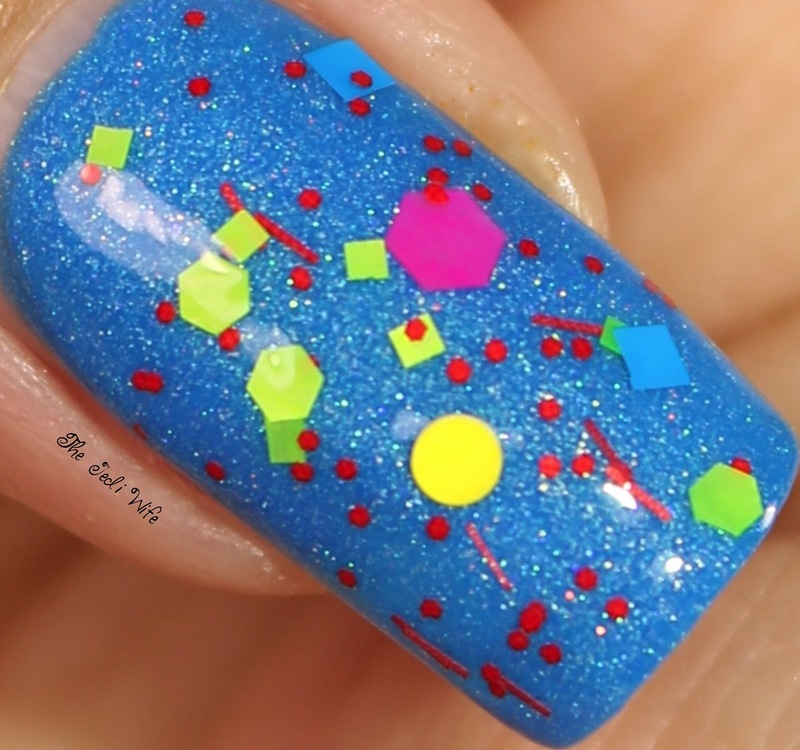 On Fleek is such a cool neon glitter topper, and I could not decide what I wanted to swatch it over. My camera is *the best* at picking up invisible dog hairs, but sometimes it has a hard time distinguishing between colours that I can easily see are different. I opted to swatch On Fleek over four different shades so you can really see what all is going on with this topper. I dabbed on about a coat and a half of polish over each base shade, and I really like this volume of glitter. There is enough to have fun variety, but you can definitely still enjoy the base colours underneath. 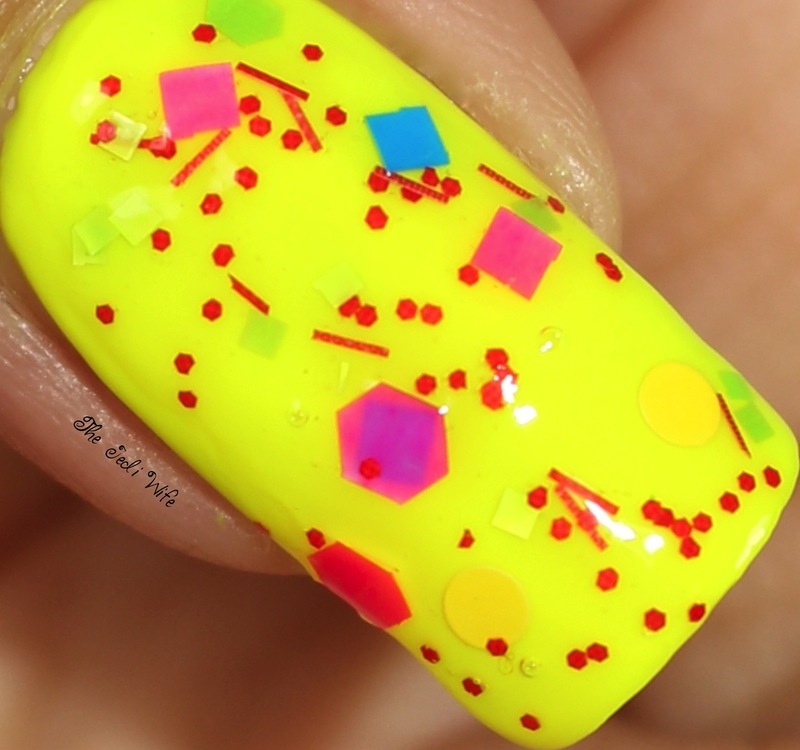 This topper was easy to work with, and the glitters dispersed quite easily for me. I topped my nails off with top coat for these swatch photos. I found myself humming the theme to Ghostbusters as I was swatching Yas; this neon green crelly screamed Slimmer to me! Photographing it, on the other hand, was something of a nightmare as no matter what camera I used or how I changed my settings, the most colour accurate images ended up with this odd glow. While it is a bright shade of green, this polish doesn't quite have this glowing effect that you see in these photos. It's still an awesome polish though, I promise! I used three coats plus top coat for these photos. While it looks blue in my photos, Bae is more of a blurple in real life. 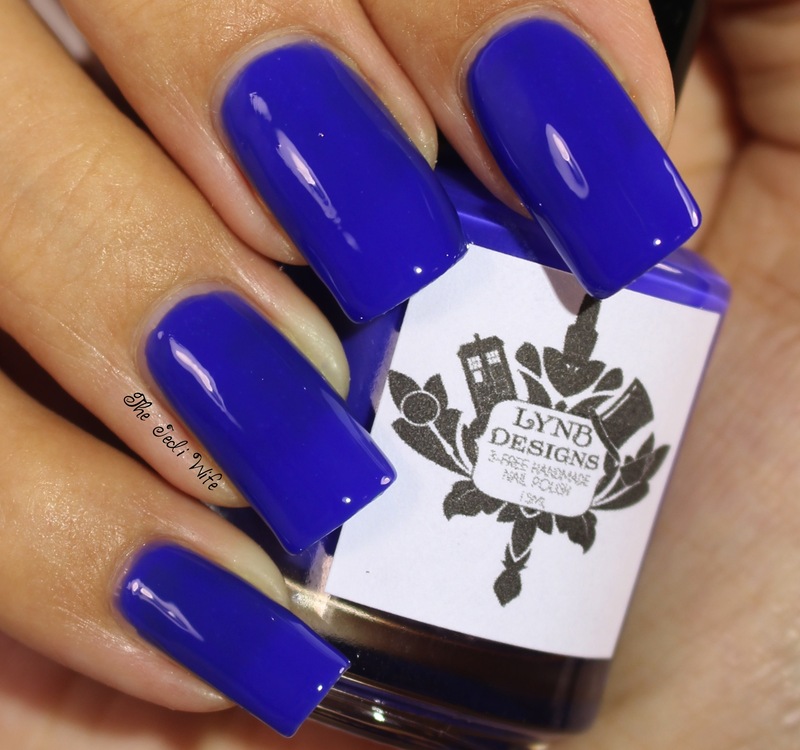 It is a really pretty cream polish, and one I suspect will look either more blue or more purple against different skin tones and in different light sources. 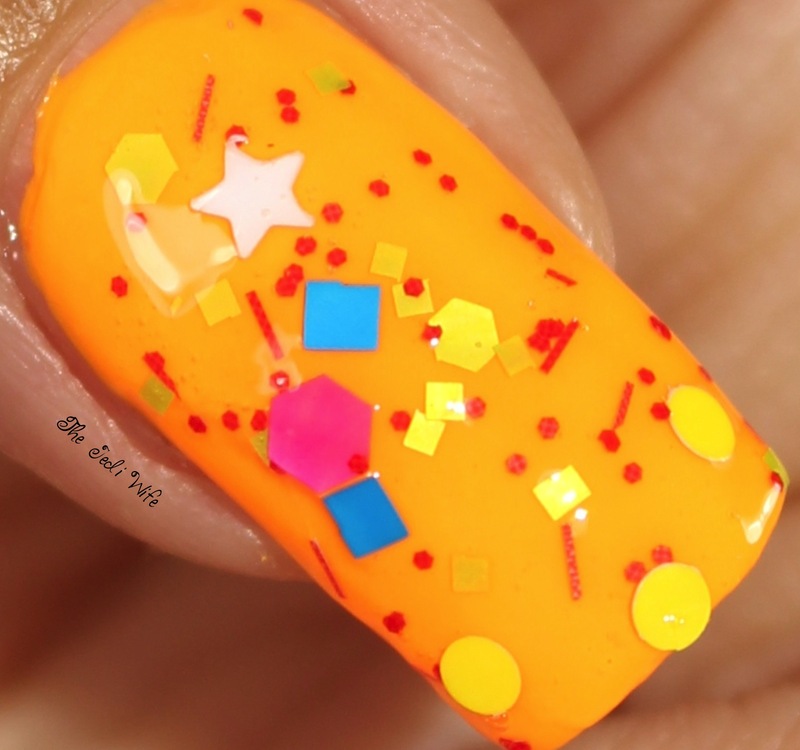 I used three easy coats plus top coat for these swatch photos. 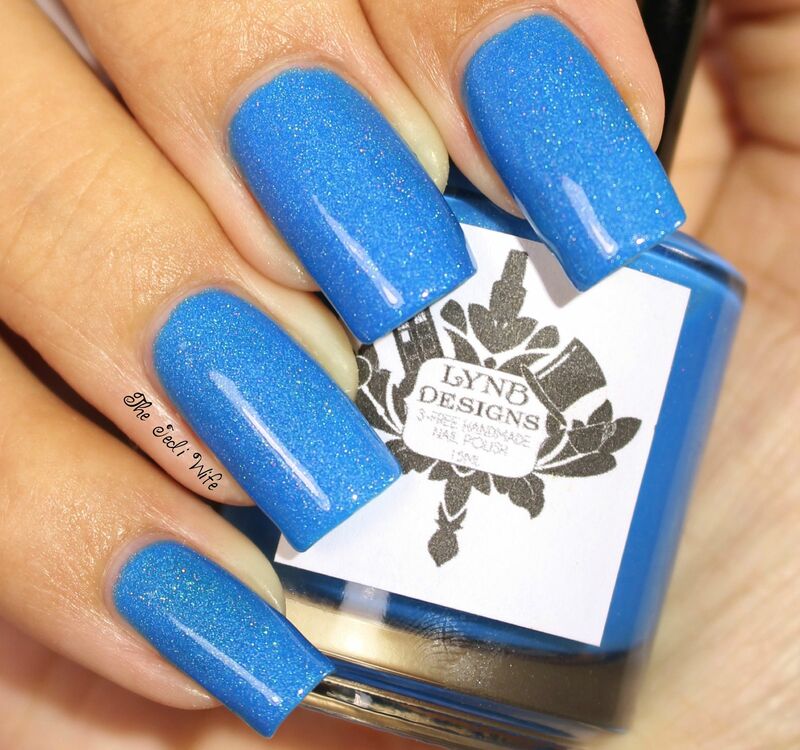 Slay is the perfect name for this polish because it slayed me (or is slew technically correct?)! Well, maybe not *quite* since I'm still here, but I am in love with this neon melon crelly polish! It just might be my favorite of the collection. I really love neons in shades of coral, and Slay has the perfect amount of pinkness to it. I used three smooth coats plus top coat for these photos. Shade is another one of my favorites from this collection. 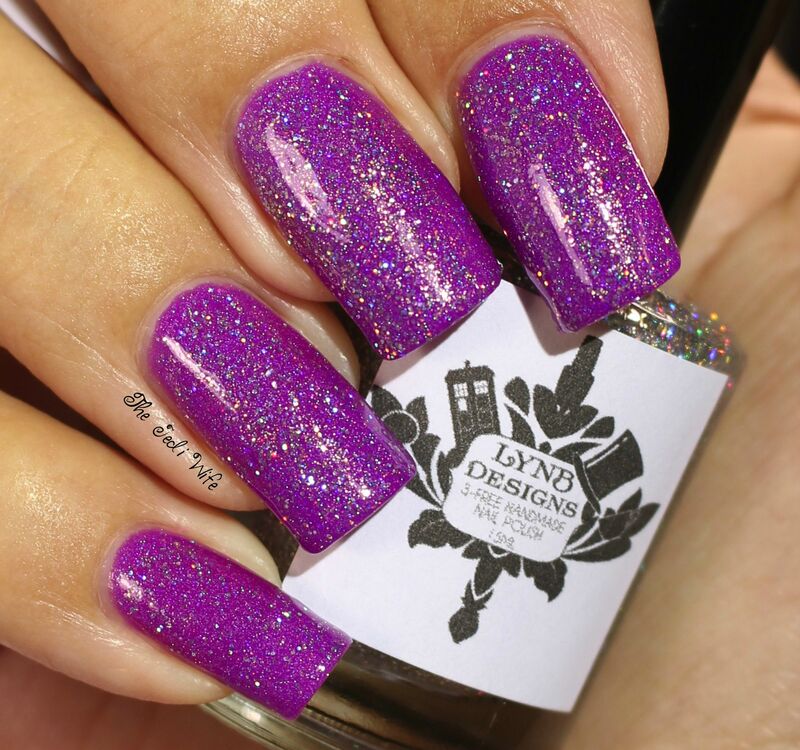 I adore this neon purple cream shade, and I really like the added holo shimmer! Even if neons aren't exactly your cup of tea, any purple fan will want this baby in their collection! I used three smooth coats plus top coat for these photos. I love this holo plus glitter topper! It will look great over EVERYTHING! The holo effect was a little more subtle as I only used a single coat over each of these base shades, but I really wanted to enjoy the full base colour plus holo topper effect rather than covering the base too much. The formula was great and easy to use, and I'm not kidding when I say I want to put it over everything! It is definitely another must-have from this collection. I am really happy with the variety of shades in The Vocab Collection! I like that there are crellies as well as creams and toppers to choose from, and I love that some of the shades have added holo shimmer. There really is something for everyone in this collection! I definitely recommend picking up polishes with the launch on May 1st! The Vocab Collection will be launching on the LynBDesigns Etsy shop here at 7pm EST. These polishes will retail for $10 each. 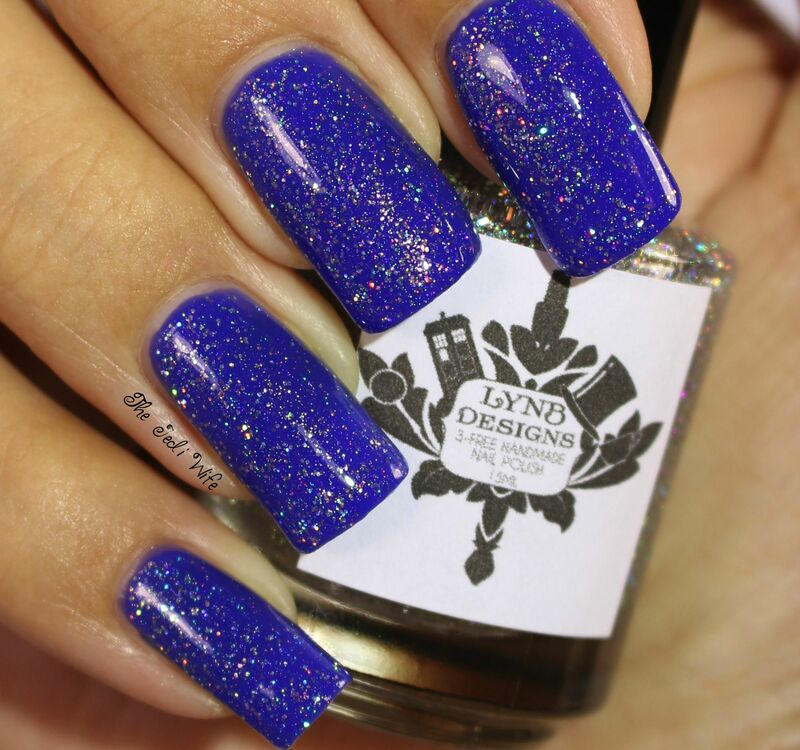 You can follow LynBDesigns on Facebook here and Instagram here for shop news and announcements. Wow!! I am really impressed with these bright shades! I NEED.